New Year, New Book, and a Treasure Hunting Story! We kicked off the new year with a family hiking trip on the 1st. It was clear and fairly warm here for January, especially after the icy weather we’ve had the last two months. Our hike included many steep hills, and a giant tree sat on top of one of them, with wide, spreading branches that made perfect seats. (I must keep the type of tree secret so I don’t give away too many hints.) The boys and I climbed up the tree’s fat branches, and I looked around us and spotted a yellow tackle box in an old, hollowed out tree trunk. So of course I scrambled down my tree to go investigate. I LOVE finding things. Don’t you? I’ve always kept an eye out for interesting little treasures out in the woods, and I’ve found mushrooms, flowers, berries, an elk shed, unique rocks, and other little things in the forest floor. Many people watch for arrowheads. It just always feels like I’ll find something cool. So this time I actually found a treasure. Well, a geocache treasure. Normally you get the coordinates from a club or website like geocaching.com and then hike out to look for the cache. We happened to stumble upon it. This cache had a bag full of things: ping pong balls, sharpie markers, bug repellent, coins, tiny notebooks with pretty pictures, and other little trinkets. 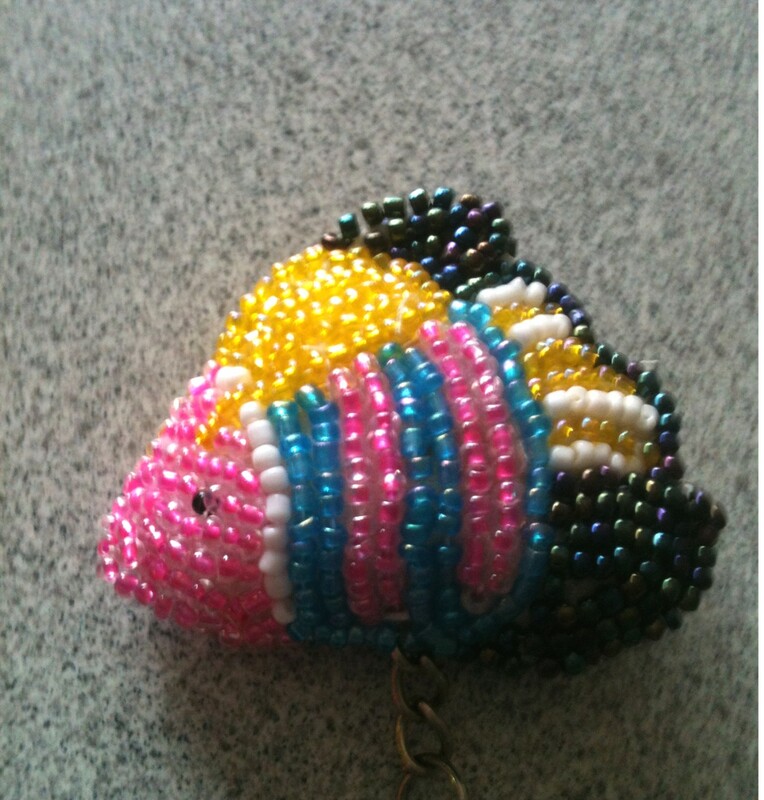 One trinket was a little beaded fish on a keyring. How cool is that? I totally fell in love with it, so we traded a pair of batman sunglasses for it. So does that relate in any way to my new release? Well, in my world, everything is somehow related. Call it writer’s brain or something, but that’s just how it works around here. I found this tropical fish on the 1st and launched my new book, Costa Rica, on the 2nd. I couldn’t wish for a better lucky charm! Annalisa and Drew have always dreamed of going to Play Flamingo, Costa Rica, with their best friends, Vincent and Melinda. But now they’re out of time. Annalisa feels their marriage is just a shell for others to see–there’s nothing left inside. She wonders if they can rekindle their love in paradise, but there’s so little left. They gave up on their marriage along with their dream of having children. Time is literally slipping away from Vince and Mel. Vincent’s cancer is back–his tumor is inoperable and he won’t do chemo again. This trip is now or never. ← The Need to Start Anew – Happy New Year!